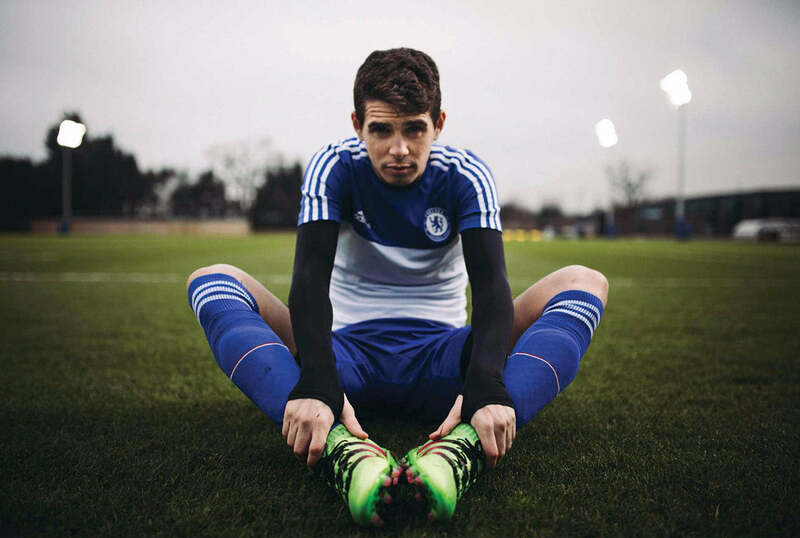 SoccerBible recently caught up with Chelsea and Brazilian midfielder Oscar for his take on battling the hard-hitting side of the game with his new 'Secret Weapons' from Storelli. Oscar: It is one of the most frustrating things in the sport and perhaps one of the least understood. As professional players, we want to help our team win. During training, at games, anywhere. Missing out on an opportunity to play is heartbreaking and unbearable, all at the same time. So, as players, we do everything we can to protect ourselves. You came into Chelsea when you were only 20 years old. Had you already heard of the reputation of “rough” play at Premier League? I think everyone has heard about the fame of the Premier League. This is what makes it so cool. When both your body and mind are put to the test. I think that’s why I find it the most competitive league in the world. Did the European “rough” play surprise you when you started playing for England? To be honest, no. The game here is very fast, and opponents are very strong, but I thought it would be even “rougher”. I liked it a lot, and I quickly got used to soccer in England. In being a fast player who is in the middle of the field, have you found during your career that certain teams and players are more aggressive towards you in an attempt to make your game harder? Of course. But this is the nature of the game. If someone is more capable or fast, you need to physically contain them. There’s always someone who is bigger, stronger, and faster. The secret is knowing your strengths and maximizing these strengths to improve your abilities. This is why Storelli can turn the tables for a player like myself. The equipment limits the physical force an opponent uses against me. Do you think that protection is undervalued in soccer at the moment? We see other sports where precautions are taken more seriously? For sure, soccer is a sport that involves many injuries so all innovations to protect players are very welcome. When people think of protection in soccer, they think of shin guards. But there are risks for all body parts, so it’s very good to see that we are headed in the right direction to protect soccer players. Storelli, of course, is a brand that is well known for its protection. How important is protection in soccer? It is as important as everything involved in the sport. Without it, we would not be able to do all we do for as long as we do. It allows us to exceed the sport’s limits with the risks. What was your first impression of Storelli? How do you feel about that product? At first glance, I thought the product was really cool. Then I tried it on and felt very comfortable, and especially protected. The product’s promise of functionality is what inspired me to use the brand; the foam in the BodyShield Leg Sleeve truly absorbs body to body impact. Many injuries in soccer can be prevented. Do you think Storelli will help keep you on the field longer during the season? I definitely believe it will extend my time on the field. At the end of the day, all we want is to play soccer and excel. So, anything that can do that is welcomed. Are you more confident to play without distractions when you use Storelli? Oh, it definitely gives me the confidence to go even further. I feel stronger and more capable of making moves that were risky before. Shop the full Storelli BodyShield Collection.